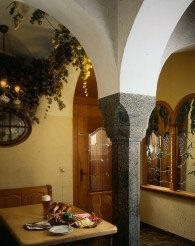 Seasonal highlights are the "Schmankerlwochen", wich reflect the entire range ofregional cuisine. For lager events such a family celebrations and conferences, Wolfgang Sperber and his team will be happy tailor your personal wishes and create exactly the right menu for your event. Kitchen time: Every day, 11:30 a.m. - 2 p.m. and 5:30 p.m. - 9:30 p.m.